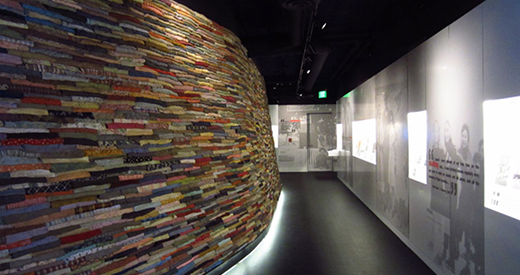 Why an exhibit on Anne Frank? 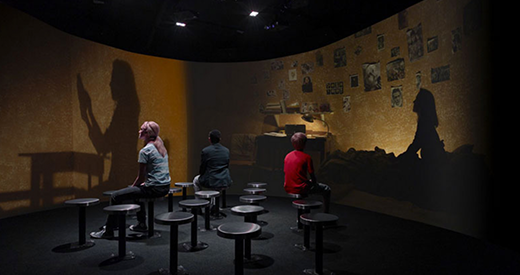 Anne is an extraordinary new immersive exhibit on the life and legacy of Anne Frank. Anne’s story, told in her own words, comes to life through rare artifacts, unique documents, and photographs. 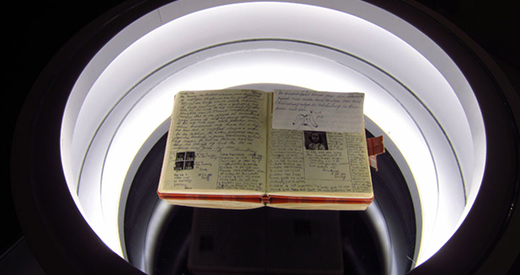 Visitors view a facsimile of her famous diary and several other examples of her original writing that culminated in what has become one of the most famous and well-read books ever. The Anne exhibit highlights little known facts about her time in hiding and the events that led to her arrest. Hear first-hand accounts about Anne from the people who knew her, and experience the story of Anne Frank as never before. An emotional, experiential 260-degree filmic dramatization of Anne’s room in the Secret Annex and finally, the arrest and imprisonment of everyone in hiding. 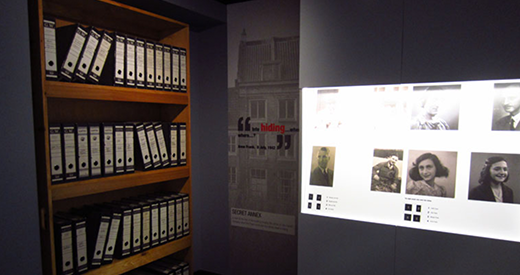 8 pages of loose leaf sheets written by Anne are among the archives on display throughout the exhibit - © ANNE FRANK FONDS Basel. Facsimile on loan from Anne Frank House, Amsterdam. Visitors reflect on what they have learned about the legacy of Anne Frank.They are challenged to tackle the issues Anne addresses in her writing, which are remarkably relevant still today, and take action to make this this a better world. Among the activities at multi-touch tables, visitors can write a pledge and share on Facebook and Twitter. A reproduction of the original diary that Anne began to write on her 13th birthday while in hiding.